Professional therapist Claire Gaskin shares her expert advice with 39 different reader problems from the last year, in this new book. Topics include how to overcome a phobia, ways of dealing with health anxiety and depression, and whether to trust a cheating partner. Message from Claire: I hope you find my new book interesting and – if you’re going through something similar – my advice is of help to you, too! 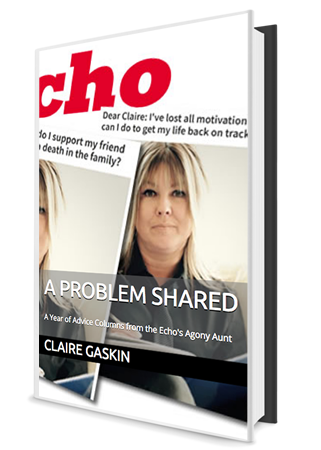 Read Claire’s book, A Problem Shared, on your Kindle for just 99p! 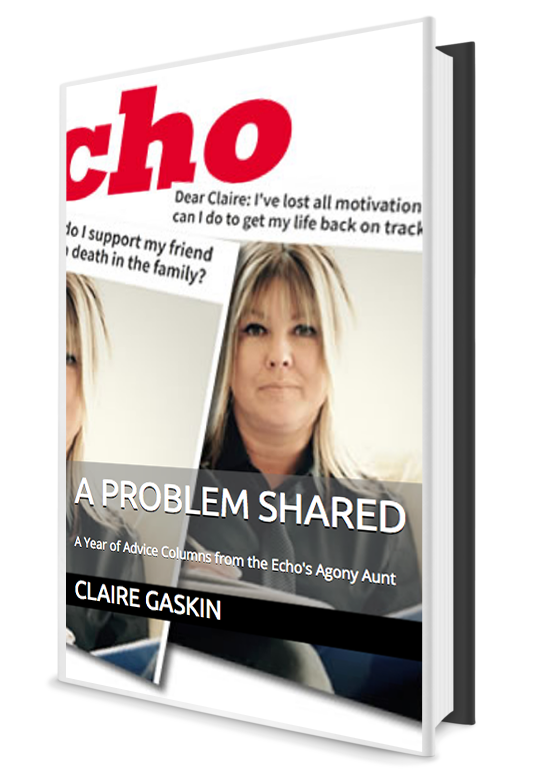 Claire, who helps people in Essex, London and across the world, is now marking her final column as the newspapers’ Agony Aunt with this collection of readers problems on a host of issues, from dealing with addictions, phobias, family problems and moral dilemmas with both a practical and sensitive approach. A reader was suffering with a debilitating phobia of feathers, another had fallen out with her daughter-in-law before a wedding, while others came to Claire with issues surrounding bringing up children and coping with life. Not all problems need therapy, which the past year has proved – some just need an understanding and sensible third party, which Claire was able to successfully be.